For more recipes, visit culinary.net. Keeping rolls connected, cut sheet of rolls horizontally, separating tops from bottoms. Place bottom halves of rolls in baking dish. Spread pizza sauce evenly over bottom halves. Sprinkle pepperoni over sauce. 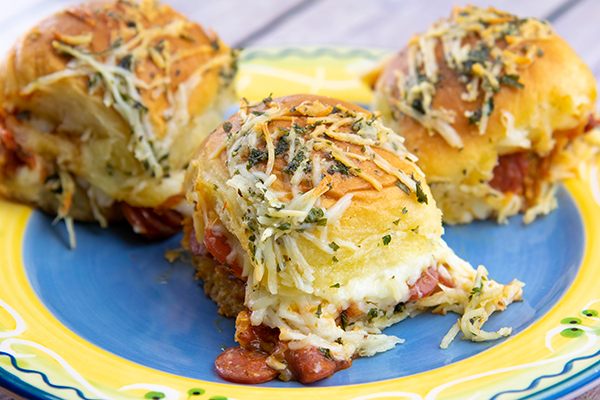 Sprinkle mozzarella over pepperoni and cover with top halves of rolls. Mix melted butter with parsley flakes, dried oregano, garlic powder, and shredded Parmesan cheese. Spoon evenly over sliders. Cover baking dish with aluminum foil sprayed with nonstick cooking spray to keep cheese from sticking. Remove foil and bake additional 5-10 minutes or until Parmesan is melted and golden brown. Cut sliders and serve immediately.